Flanders in Belgium, the country of chocolate, beer and splen-did waterways. With 950 km of canals, it is probably one of the densest waterway networks in Europe. These waterways link many tourist cities, but also small charming hamlets. But they all have one thing in common: you sail through and berth at the heart of these communities, where you will be a wel-come guest. Wherever you are, you can enjoy the hospitality, the gastronomy, the historical and modern architecture. And should you wish to swap the pleasant tourist spots for a bit of peace and quiet, then berth at a jetty in the open countryside. *Option departure from Ypres. Ask for availability. Nowhere in the world are so many historic, interesting towns and cities linked by waterways as in Belgium and northern France. 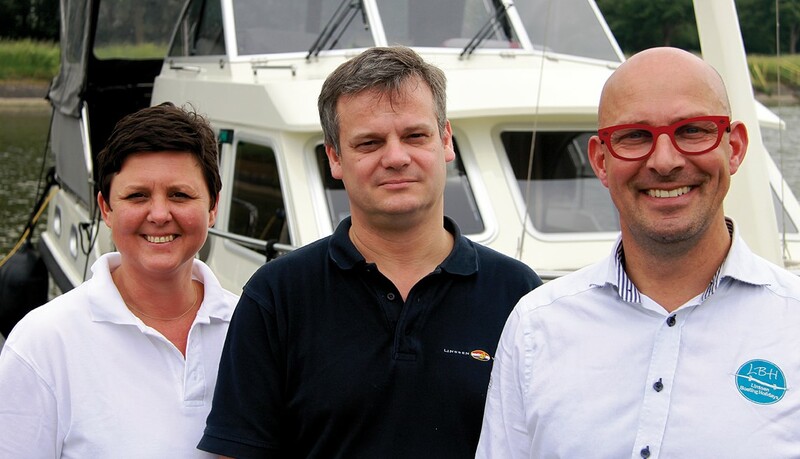 With the Linssen motor yachts which you, as a customer of Linssen Boating Holidays®, can charter in the Belgian base in Kuurne (Kortrijk), West-Flanders. Uou can combine relaxation with culture in a stylish manner. The peaceful waterways lead through beautiful countryside to well-known towns such as Brugge and Gent (you just have to spend a day on the beach!) as well as idyllic spots such as Diksmuide, Oudenaarde and Veurne. And of course you can also try out the restaurants and their culinary highlights, such as the uniquely abundant range of fantastic Belgian beers and chocolates. It‘s no coincidence that Belgians are referred to as bon viveurs. A city that needs no further explanation. One of the most well-known historic cities in the world, listed as a UNESCO World Heritage Site. A lively city for tourists, with a transit marina on the edge of the city canals. The old River Leie arm meanders from Deinze to Ghent. The open landscape is dotted with historical manor houses with huge gardens. The region is characterised by picturesque vil-lages. The old River Leie arm is a must for visitors to the Flem-ish waterways. A surprise to many Linssen boating visitors. World Heritage Site, modern architecture, student city... which is probably why this city was listed by the Lonely Planet guide as seventh on the list of cities you must visit.“Probably the best kept secret in Europe”. Two towns located on the coast. A day at the beach or a walk along the dyke. The promenade with its bracing sea breeze is just a few minutes walk from the marinas. From your rented Linssen yacht it is easy to reach. Your Linssen is 'parked' in the marina of Diksmuide, with its up-to-date facilities and lies in the shadow of the IJzertoren (Iron Tower), the symbol of peace. The remnants of the Great War are clearly evident here. This city, which was completely destroyed during the First World War, has risen from the ashes and is now a symbol for peace. It is an ideal starting point for the commemoration of the Great War (1914-1918), which broke out just one hundred years ago!! Visit the In Flanders Fields Museum. Do not forget the Last Post ceremony under the Menin Gate which salutes the many war victims. This is a moving occasion that has been held daily for almost one hundred years. A pleasant regional centre with striking buildings and an im-pressive church (13th to 17th century). One of the busiest markets in the region is held here on Wednesday. Visit Lille on one of your stops with your Linssen. It is one of the largest cities in France. A city with a long cultural tradition, but with a lively centre with shops and many second-hand markets. With a marina in the shadow of the medieval Broeltorens tower, this in an opportunity to take time out and relax on your journey on your private Linssen motor yacht. Kortrijk is known for its Béguinage and Belfort (World Heritage Site). And do not forget the main shopping street with its large retail centre (KinKortrijk).